If you're pregnant, there are a number of reasons your obstetrician might try inducing labor—stimulating your uterus to begin having contractions before they naturally start on their own. It may be that you're overdue with no signs that you'll be going into labor anytime soon, or that your water (meaning the amniotic sac of fluid your baby floats in and is protected by) has broken—a situation that puts him at risk of infection. Perhaps you've developed a condition such as preeclampsia or gestational diabetes that can endanger your health or your baby's if you stay pregnant. In some cases, labor induction is scheduled because of a logistical, rather than a medical concern. For example, maybe a mom-to-be lives so far from the hospital it would be risky to wait until she goes into labor for her to arrive there. This is called elective induction, according to the American College of Obstetricians and Gynecologists (ACOG). Sometimes induction is the best thing for a mother or her child. But it's not always necessary or best to rush things along. In fact, it can cause problems or even be unsafe. 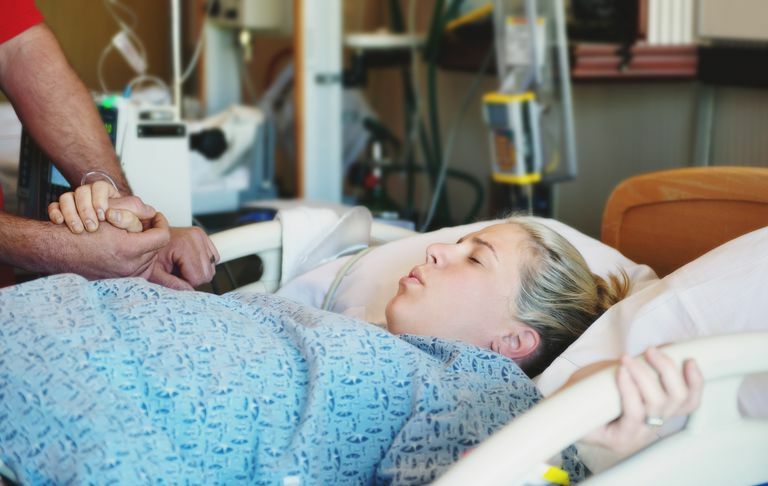 Here are five risks of inducing labor that are worth knowing more about so you can talk more about them with your doctor and be prepared for what might come as a result of this procedure. In addition, when labor is induced using medication, contractions tend to be stronger and more forceful than those that occur naturally. This can cause your baby to get into or stay in a position that makes labor longer and more painful for the mother. When labor is induced, babies tend to stay in positions that make it harder to move down the birth canal. Also, because contractions are so much more painful, the need for an epidural (anesthesia to numb the pelvic area) increases. Both of these conditions can prevent a woman from effectively pushing her baby out, and so it can become necessary for the doctor to use forceps or vacuum extraction to help deliver the baby. If after her water is broken a woman isn't able to give birth vaginally, it will be necessary to deliver the baby via C-section. This is because once the amniotic sac is gone, the baby is more vulnerable to infection. A Cesarean is also more likely if the baby is in a poor position for being born vaginally or is in fetal distress. However, new research suggests that inducing labor at 39 weeks might actually reduce the likelihood that a C-section is needed. In fact, it was found that infants born to women who were induced at 39 weeks were not "more likely" to experience newborn complications such as stillbirth or newborn death. A baby born via induction hasn't yet sent signals to its mother to start labor, which often means he simply isn't physically developed enough to leave the womb. He will need special care in the neonatal intensive care unit (NICU) until he is. Being born even a week or two early can cause a baby to have trouble breathing, eating, and maintaining a normal and steady body temperature. This limits the amount of contact his parents and other caregivers can have with him. It also makes it tougher to establish breastfeeding and is, overall, a stressful experience for new parents. Jaundice is an inability of the liver to break down red blood cells. In newborns, it's caused when the baby's liver simply isn't yet mature enough to do this job. The result is an increase in the levels of bilirubin in the baby's blood, bringing a telltale yellow hue to his skin and the whites of his eyes. Jaundice isn't uncommon and it's treatable, but it can mean a longer stay in the hospital. Get diet and wellness tips to help your kids stay healthy and happy.